Claudia Rankine is an award-winning poet. Born in Jamaica, she came to the US at age seven and lived in the Bronx, a borough of New York City. 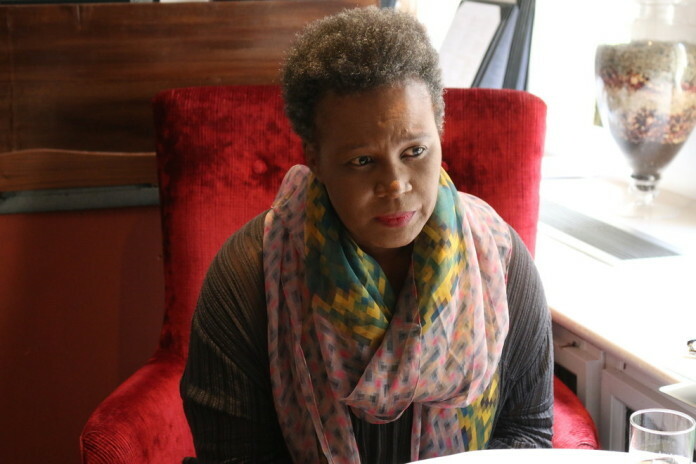 Rankine discusses her new book, Citizen: An American Lyric, about racism in America. Yes – have you seen the recent video in Clinton correctional facility where guards refer to a black prisoner’s “non-compliant” body? He is non-compliant because he is dead. You have a daughter – how do you arm her against racism? How often in your life in southern California does racism impinge on you? I have had a privileged life in academia. But racism is inescapable, even among well-educated, questioning people. You have talked about an incident at an airport where you were traveling with your husband, who is white. You were stopped and you said: “I am being racially profiled.” Why did they stop you? You can’t know – but they stopped me. Then they said: “Go.” No explanation. When I said: “I’m being racially profiled”, the official asked: “Why are you saying that?” And he did look chagrined. In a New Yorker article you wrote: “There really is no mode of empathy that can replicate the daily strain of knowing that as a black person you can be killed simply for being black.” What is needed if empathy is useless? I’m not saying that anything can be enough. Empathy is not a cure. Very powerful words from Claudia Rankine. I believe that Claudia recognizes more microaggressions of racism in her daily life than other who may not be necessarily married to a white person. With the walking contrast of a couple, the nuances of racism in America is even ever more present in daily life. Some Black people can actually afford to avoid white people but Claudia has tied her lot to the dreaded image of her oppression. She speaks words from a deep experience.